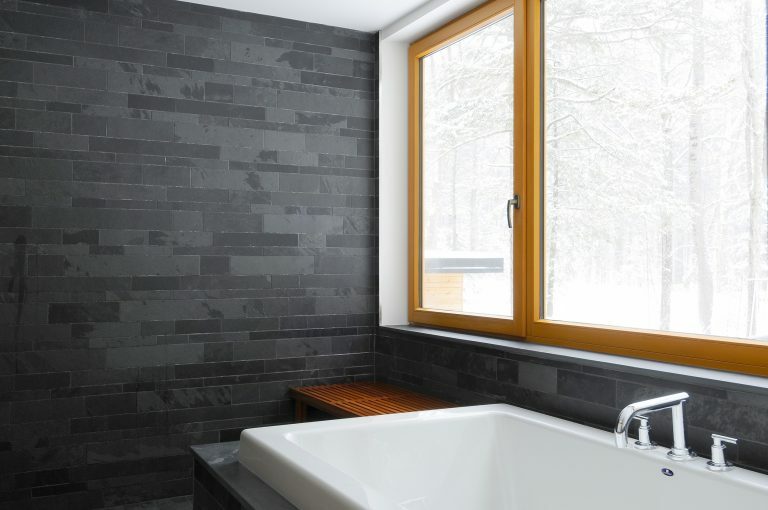 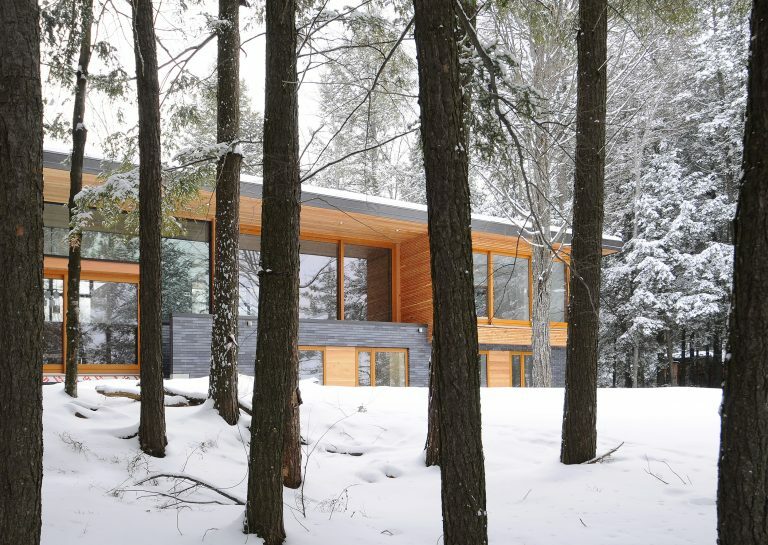 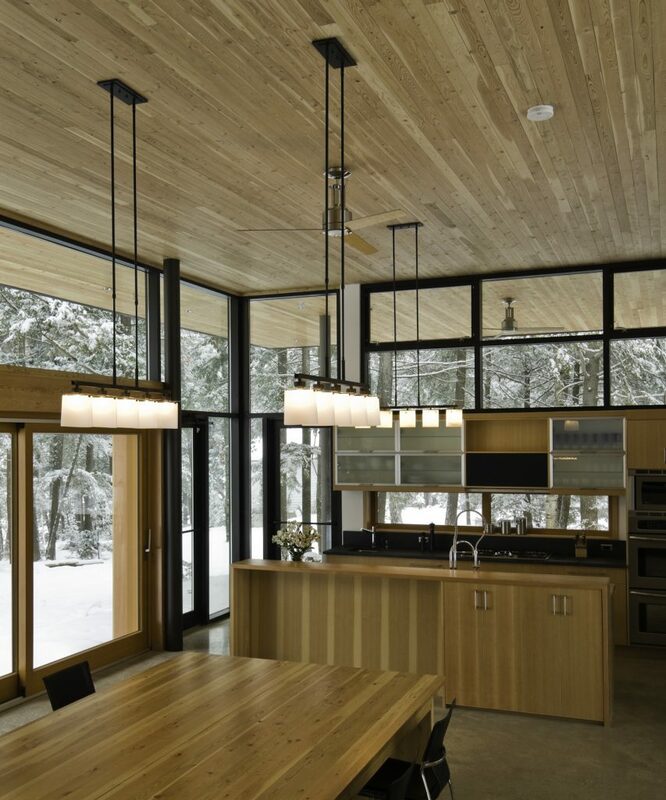 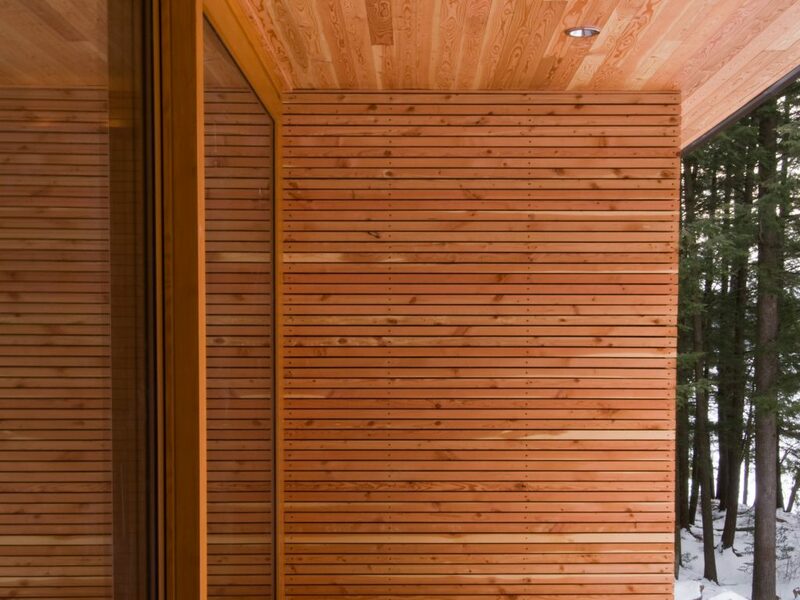 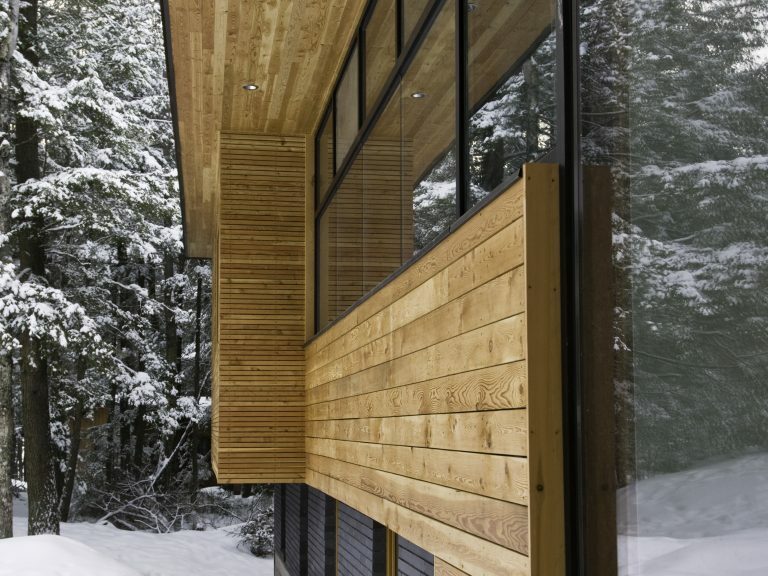 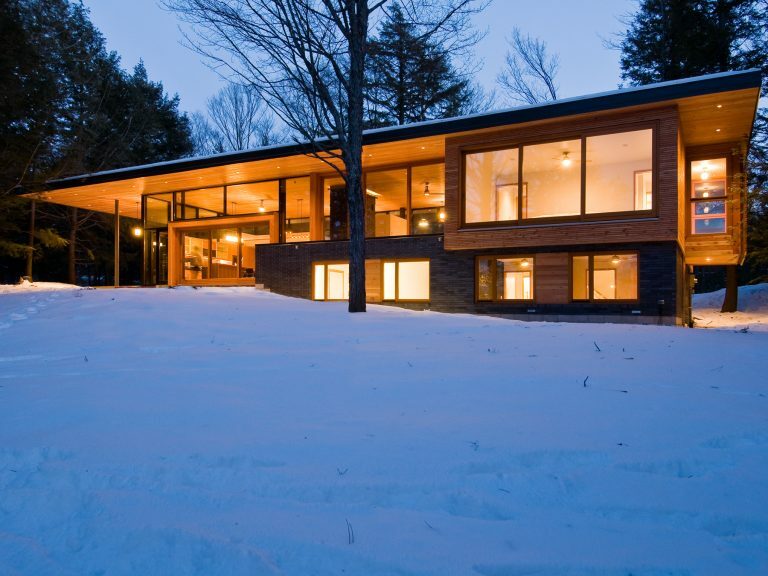 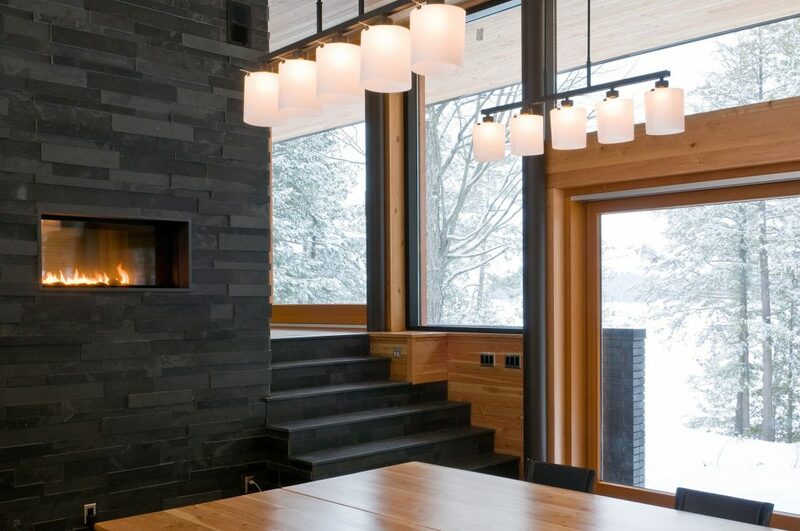 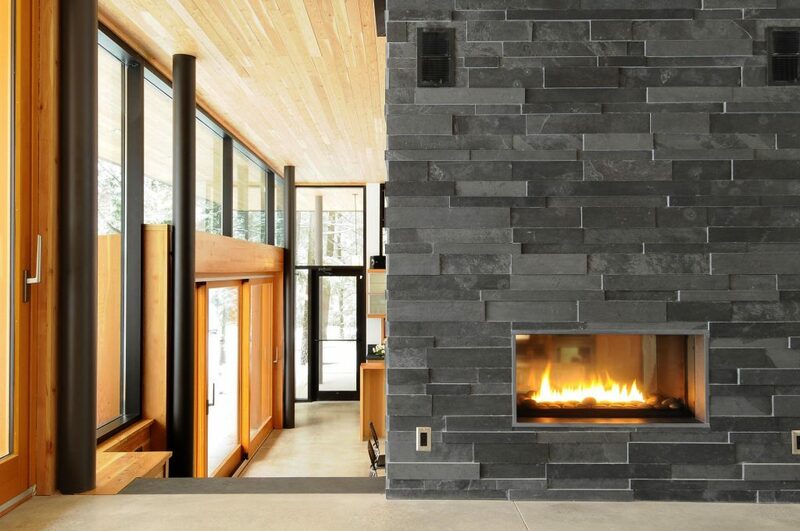 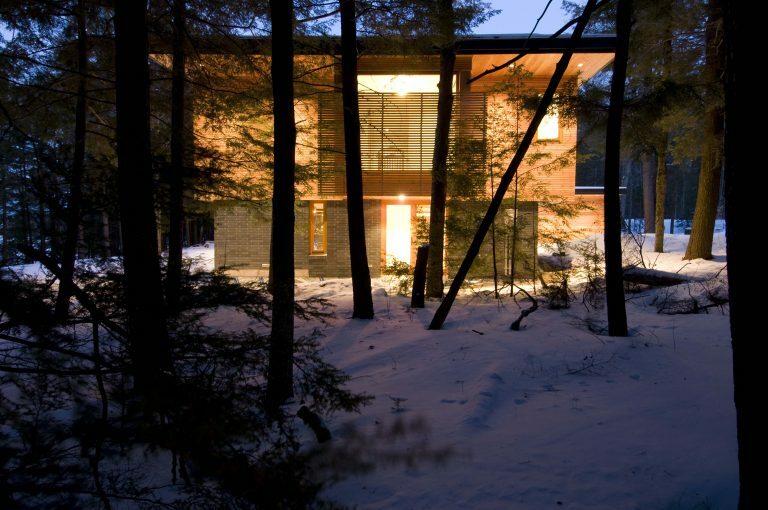 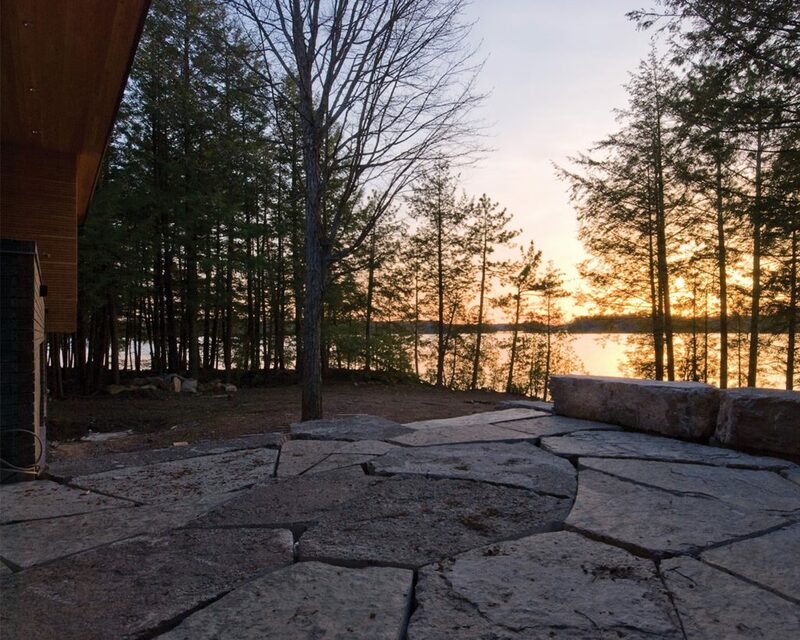 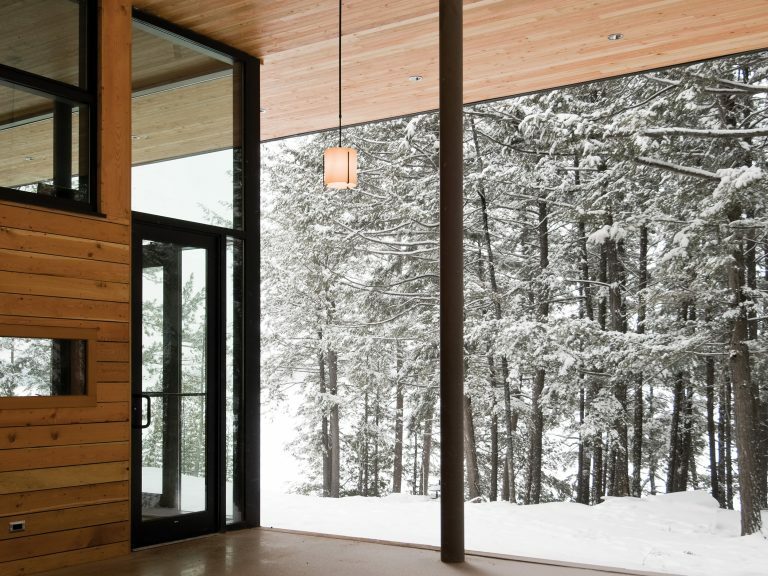 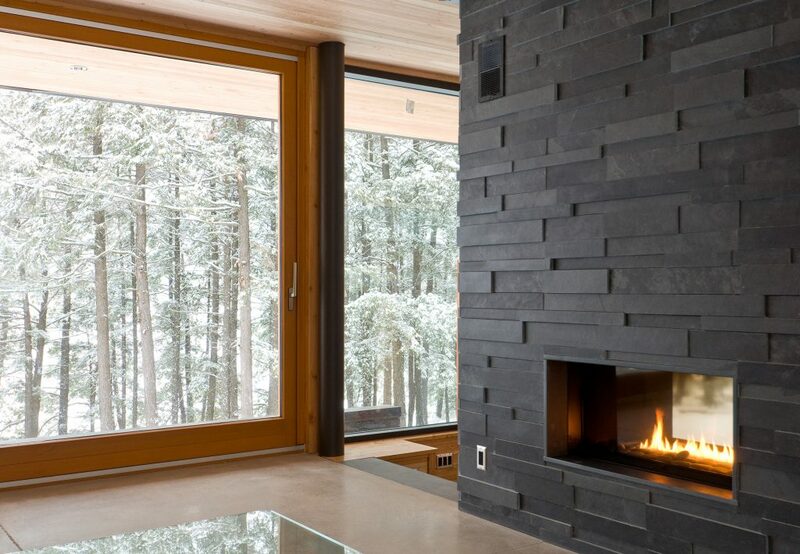 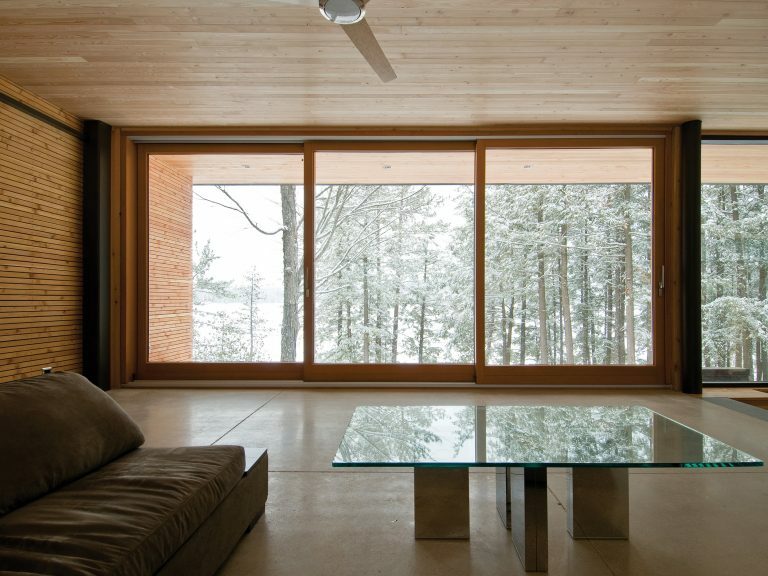 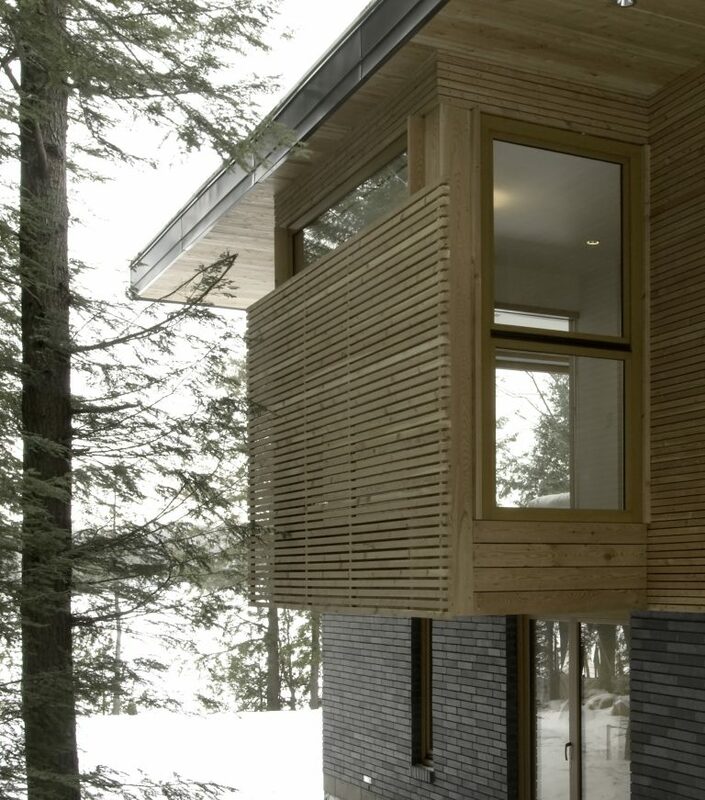 Eels Lake Cottage - Trevor McIvor Architect Inc. The side-split massing of the Eel’s Lake Cottage integrates naturally into the site conforming to a subtle shift in the underlying Canadian shield and minimizing the overall presence of the building on the site. 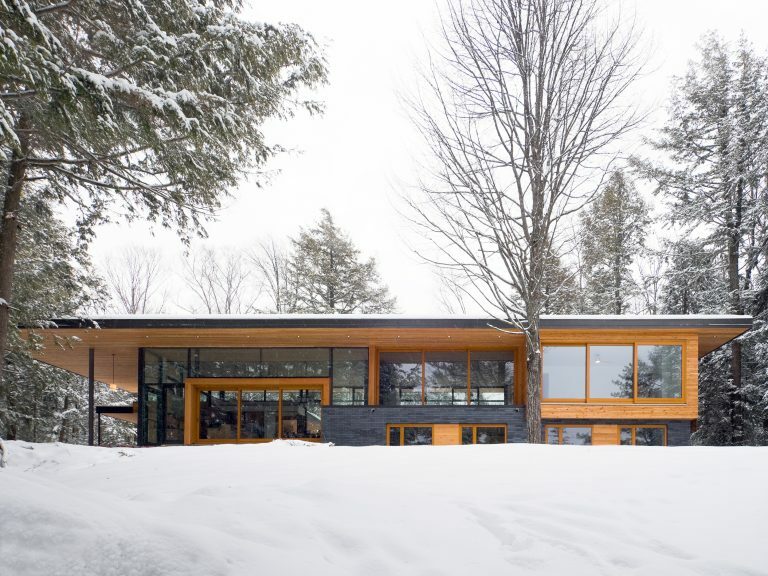 The efficient steel and engineered wood structure allows a delicate glazed skin to wrap the main volume, emphasized by a simple roof plane that connects the main program elements. 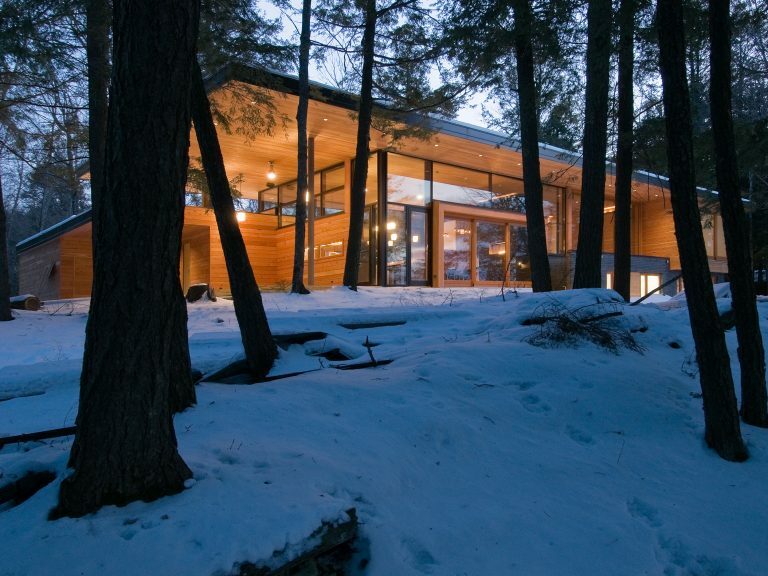 Taking full advantage of the granite mass upon which the building rests, the simple roof plane floats over a glass pavilion that is anchored to the site by the foundation. 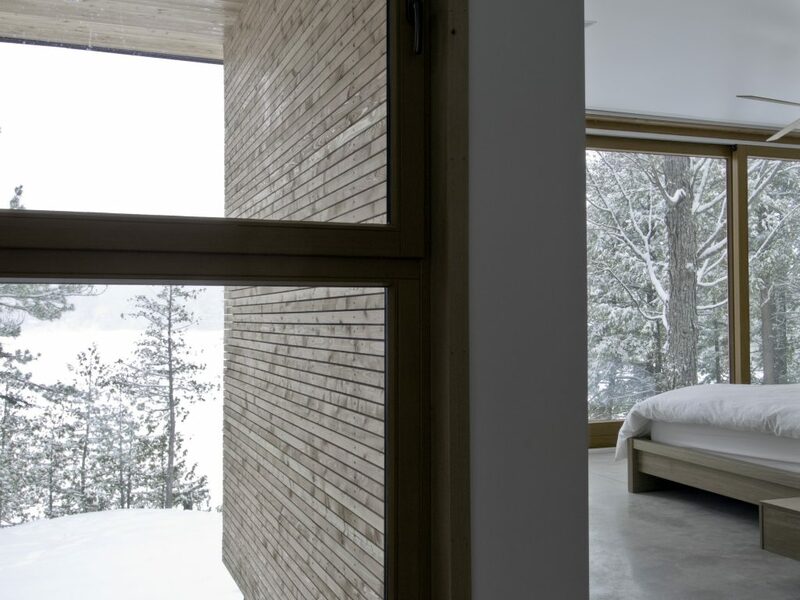 Clad in brick, the ICF base emphasizes the solidity of the site and provides the solidity for the light structure above, while creating a tightly sealed envelope for the lower bedrooms. 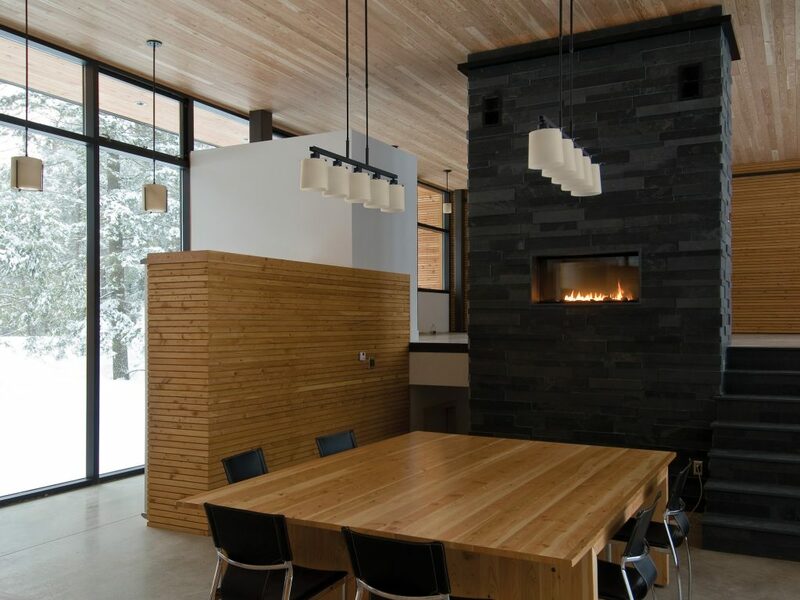 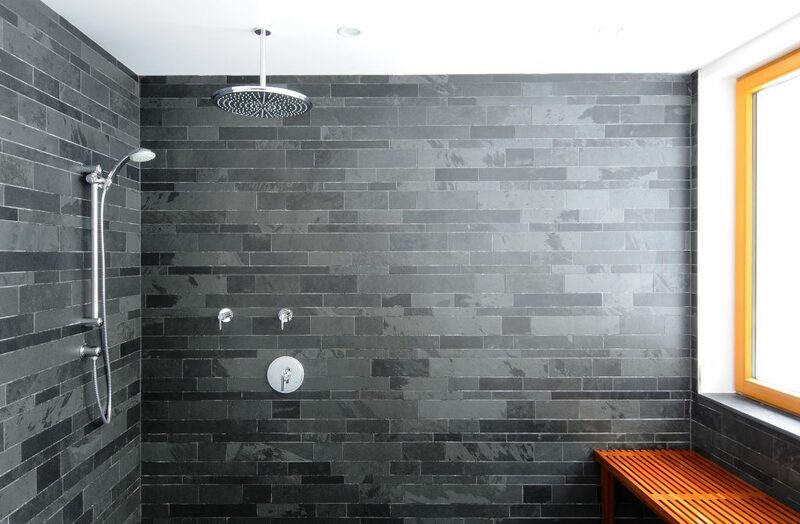 Through the use of a consistent palette of materials, wall and ceiling cladding link the interior with exterior. The varied textures of the simple volumes and planes provide a subtle but distinct reading of space. 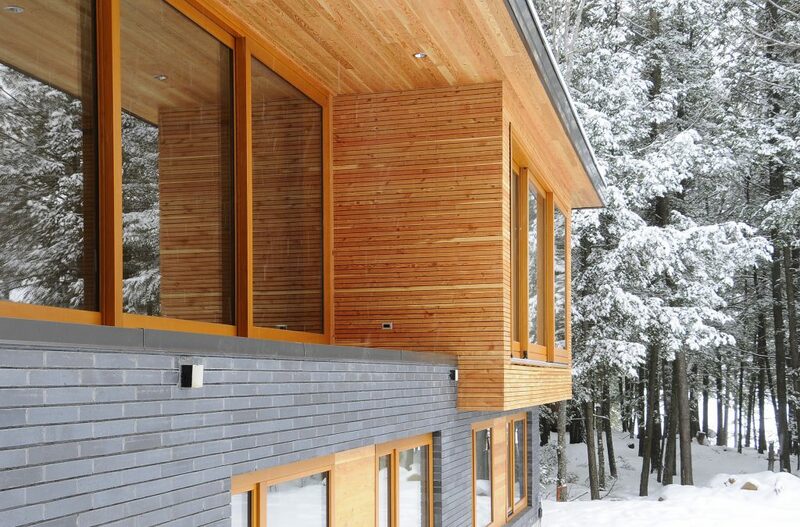 Since the structure is separated from the envelope, a delicate glazed skin is able to wrap the main volume while the slender columns emphasize the simple roof plane that connects the main program elements.